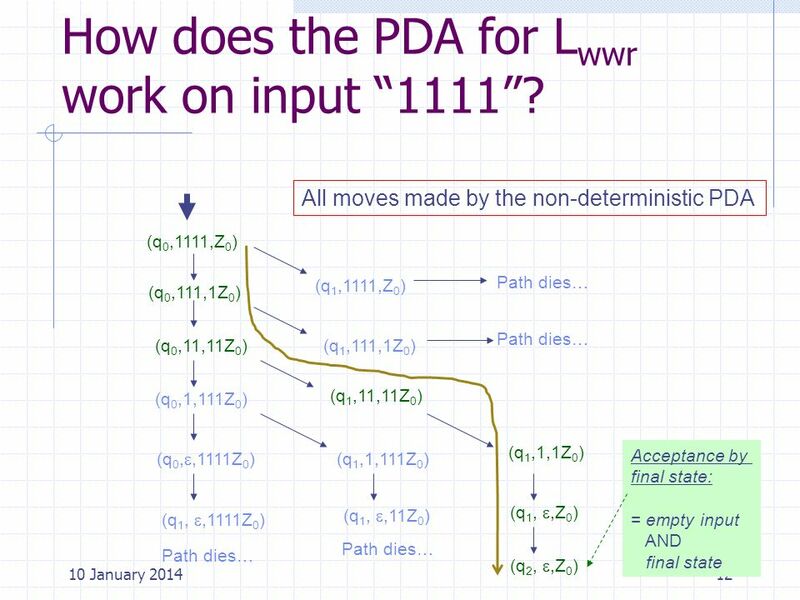 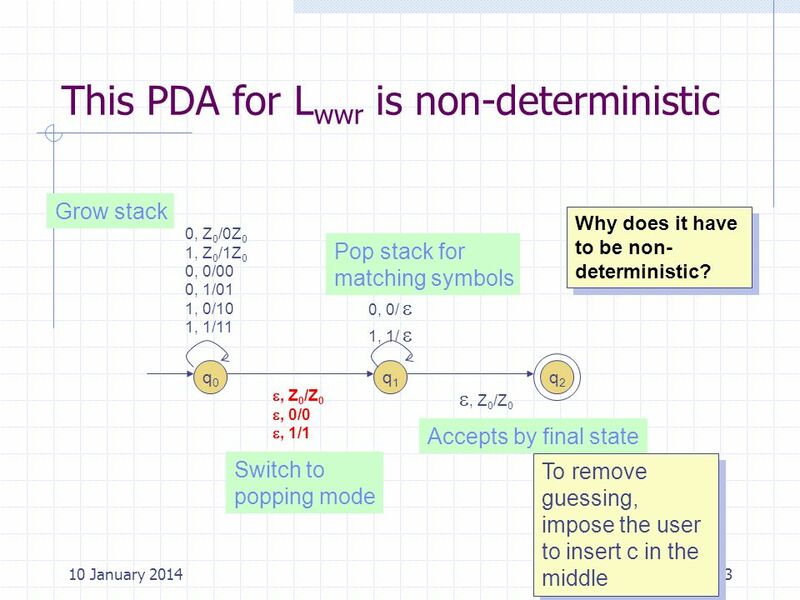 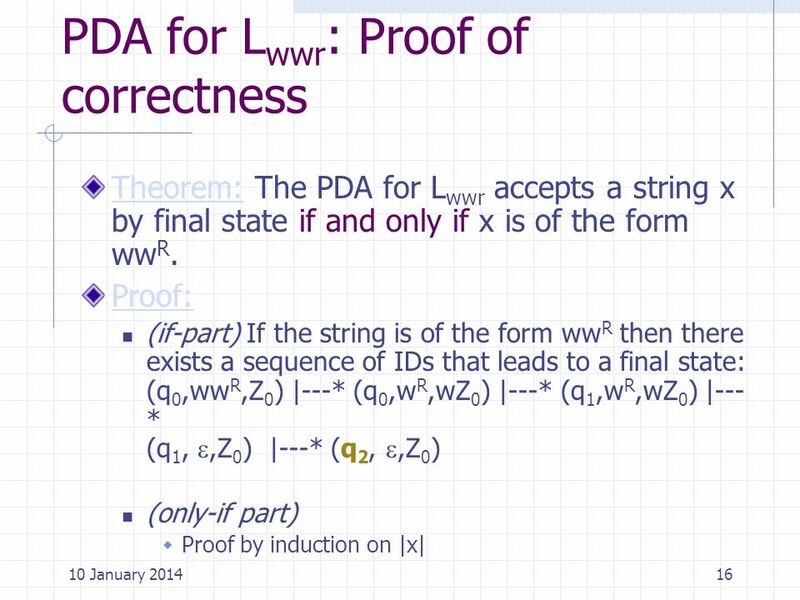 12 How does the PDA for Lwwr work on input “1111”? 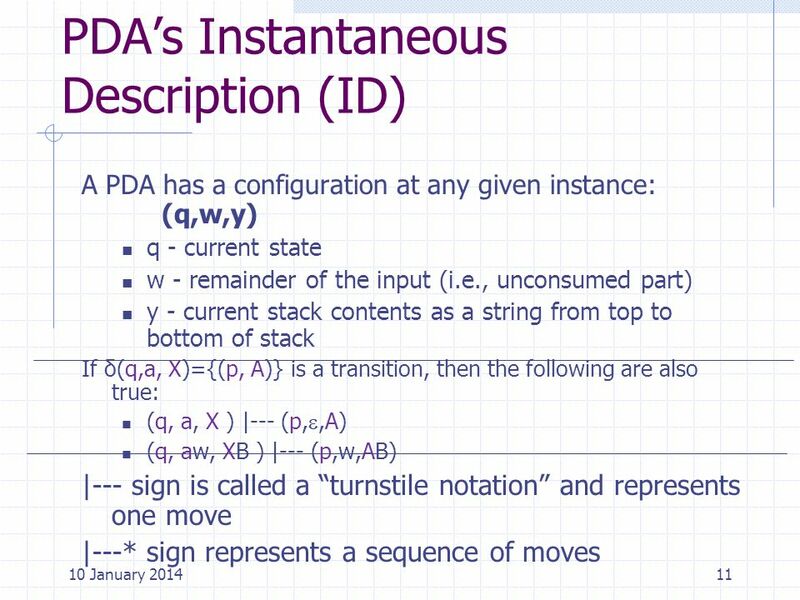 Download ppt "CS2303-THEORY OF COMPUTATION Push Down Automata (PDA)"
&& Department of nskinfo-i educationwww.nsksofttch.com CS2303-THEORY OF COMPUTATION uChapter: Closure. 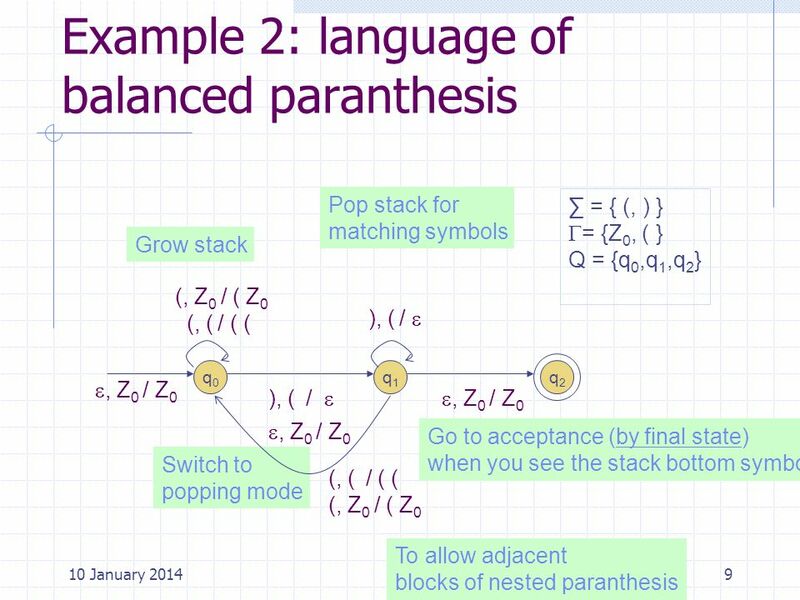 Source of slides: Introduction to Automata Theory, Languages and Computation. 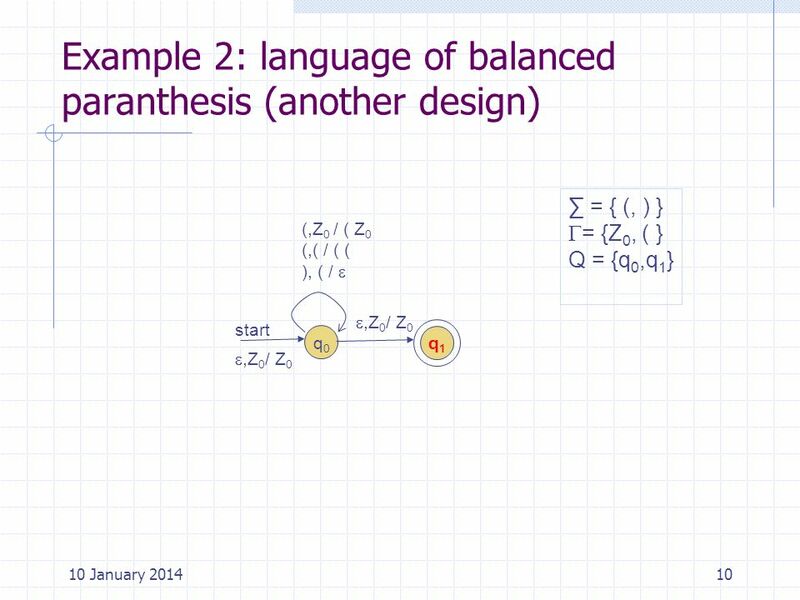 Lecture 11 Context-Free Grammar. 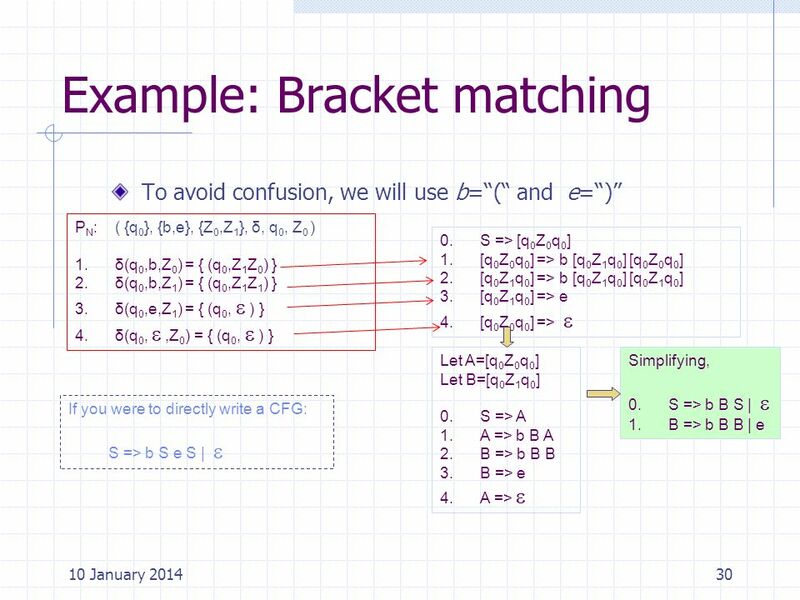 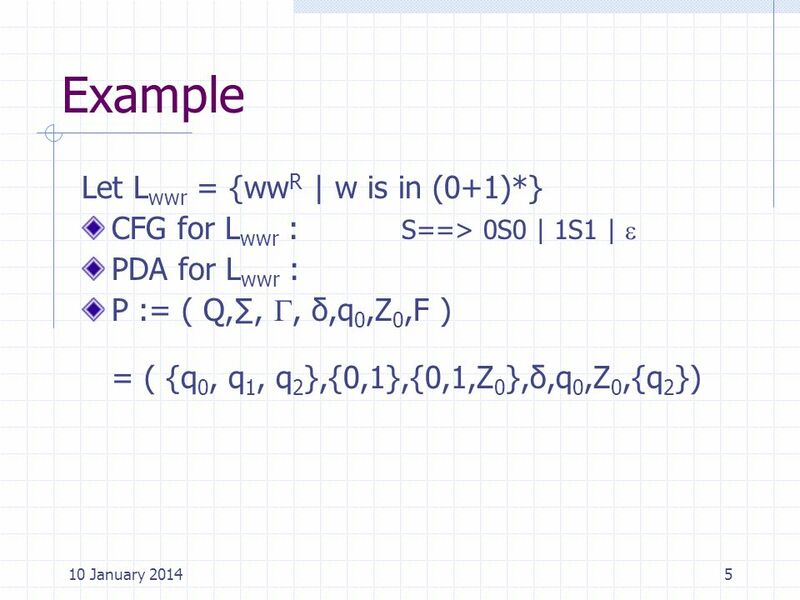 Definition A context-free grammar (CFG) G is a quadruple (V, Σ, R, S) where V: a set of non-terminal symbols Σ: a set. 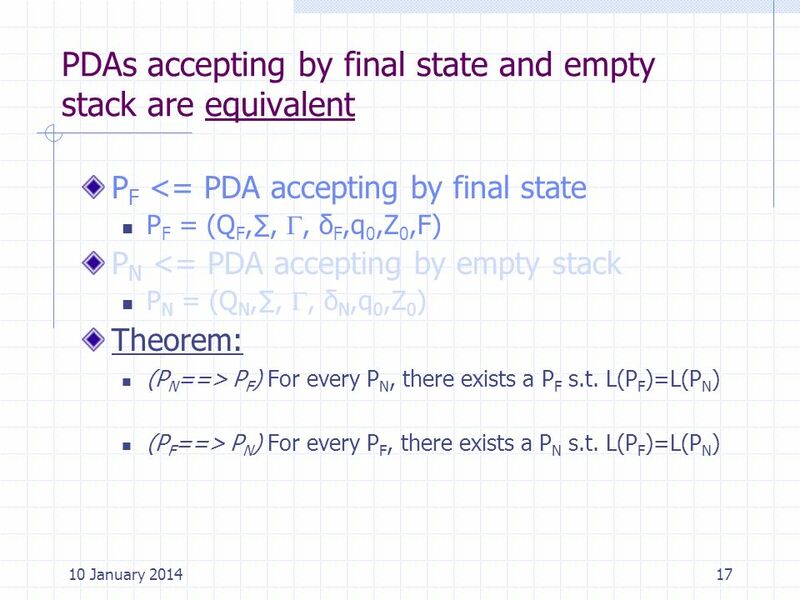 Theory of Computation CS3102 – Spring 2014 A tale of computers, math, problem solving, life, love and tragic death Nathan Brunelle Department of Computer. 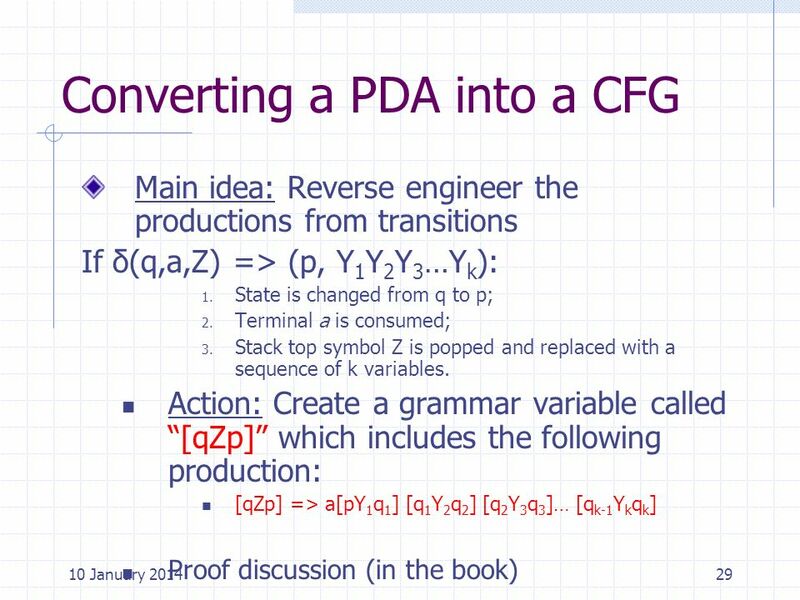 David Evans cs302: Theory of Computation University of Virginia Computer Science Lecture 13: Turing Machines. 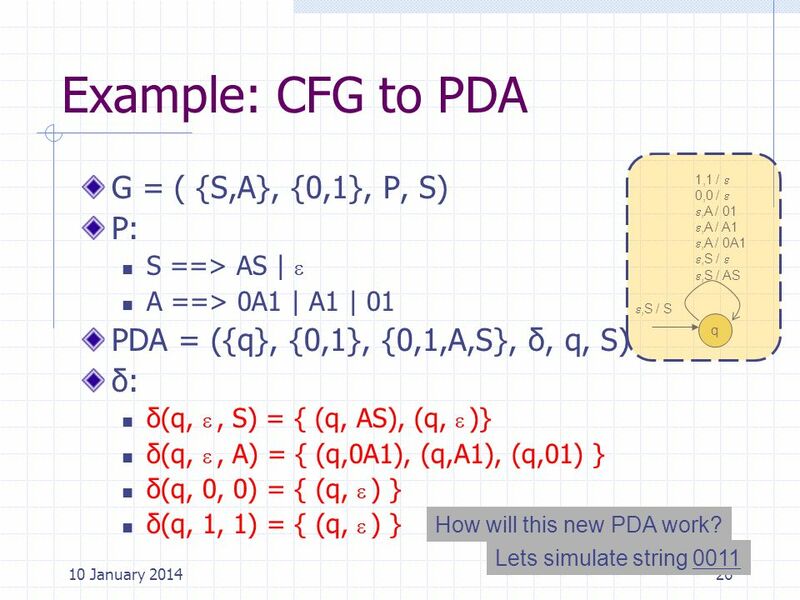 Pushdown Automata Section 2.2 CSC 4170 Theory of Computation. 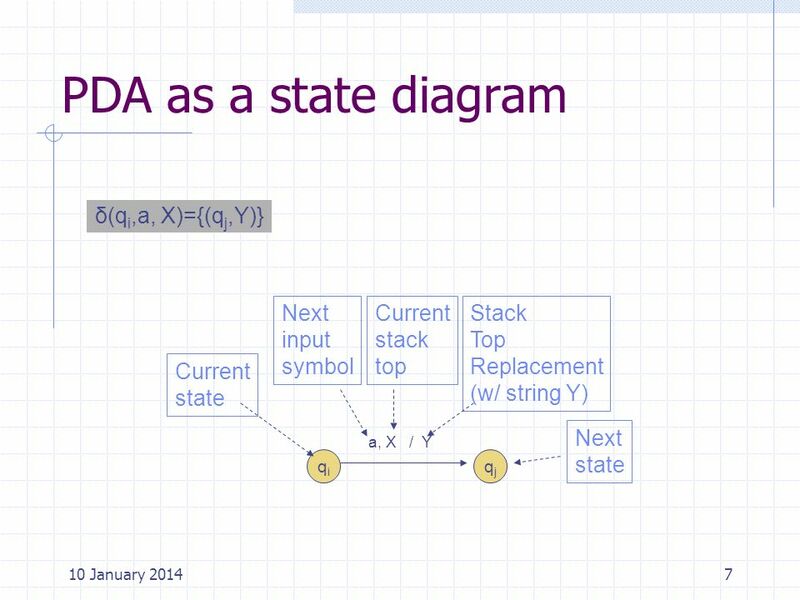 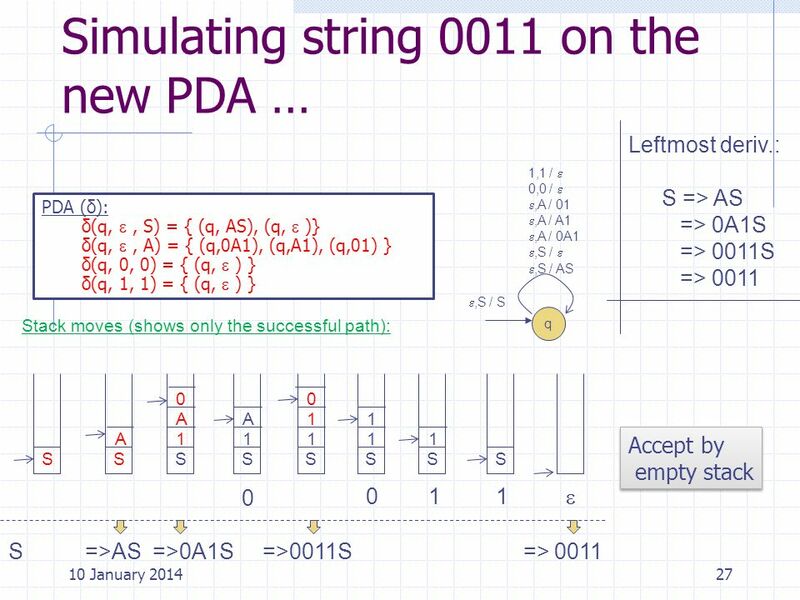 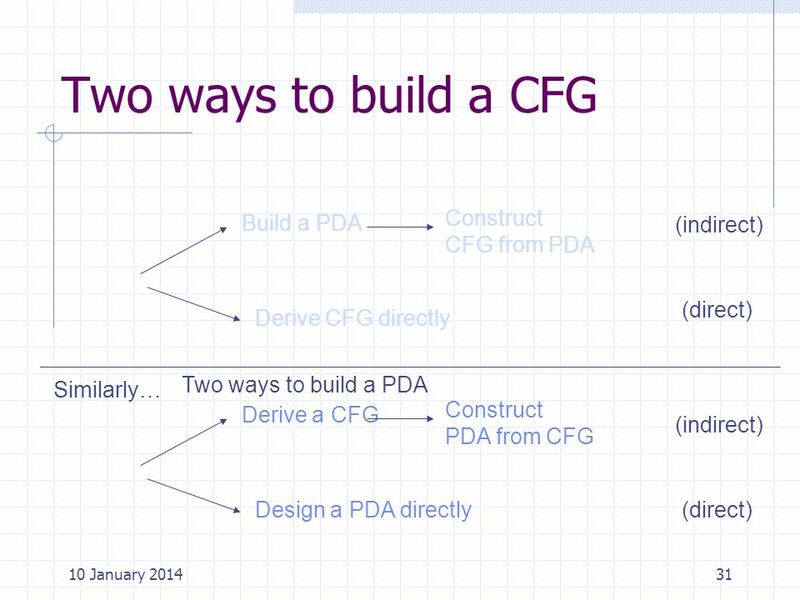 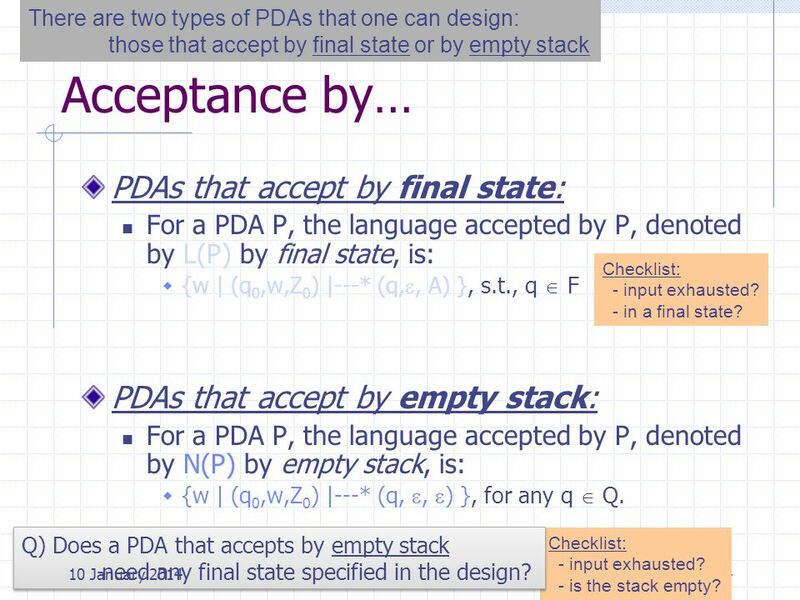 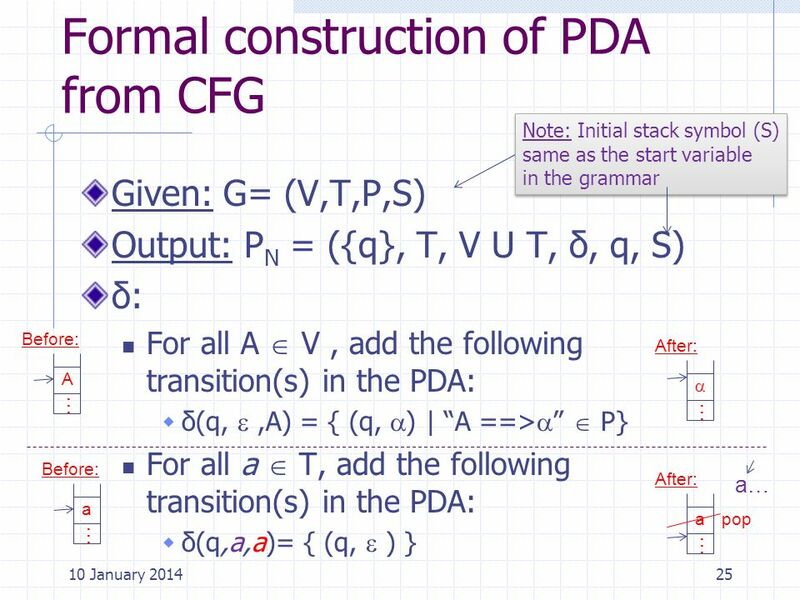 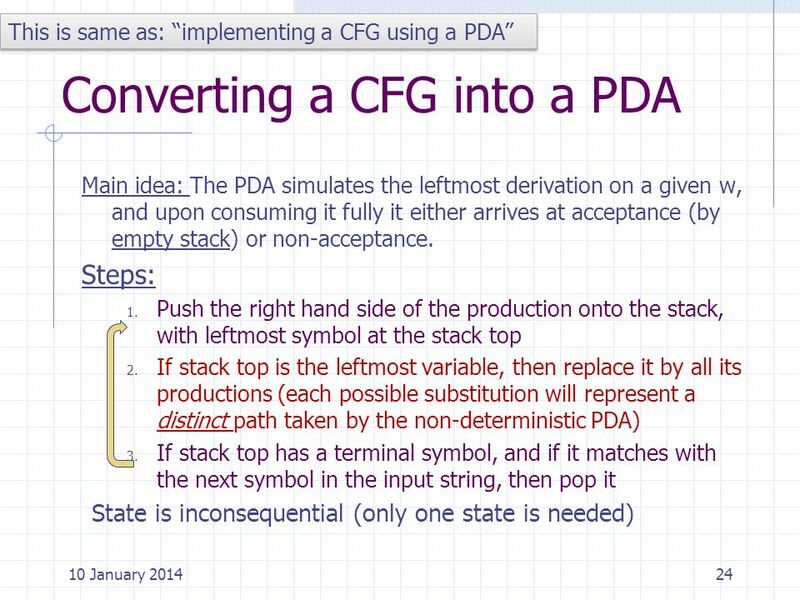 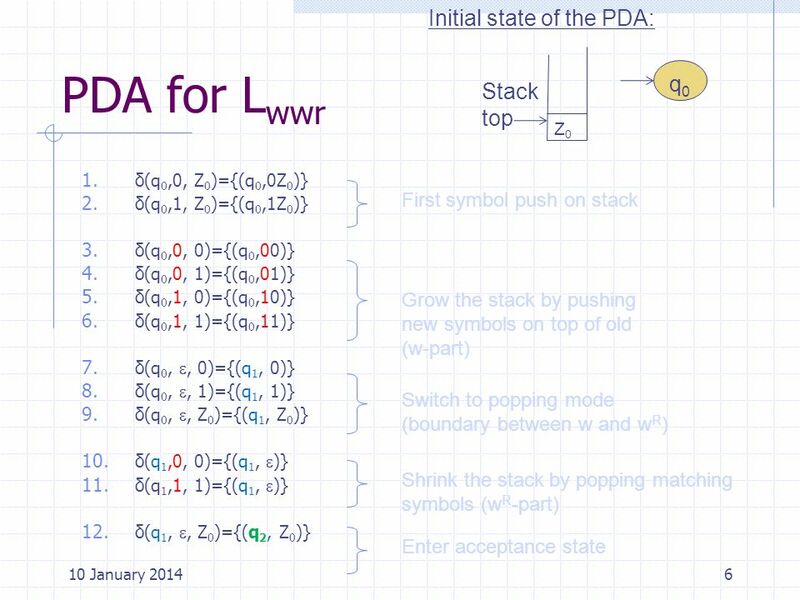 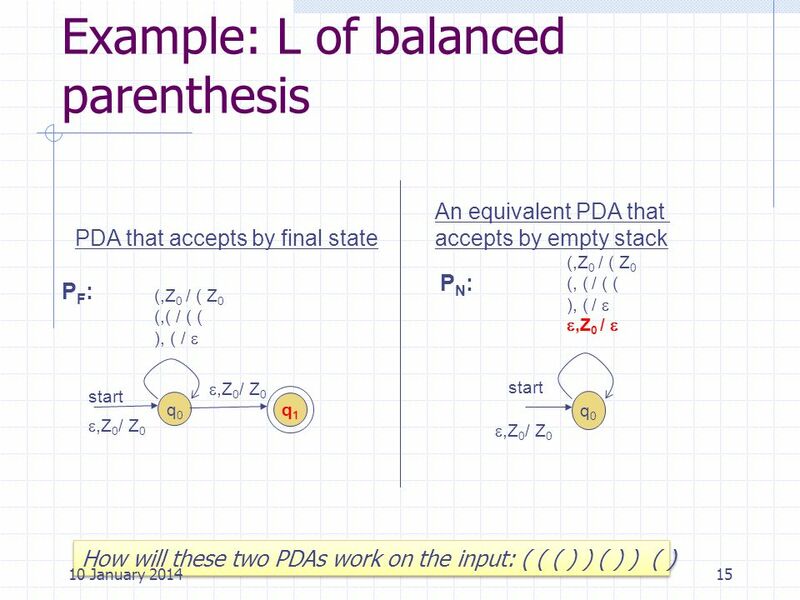 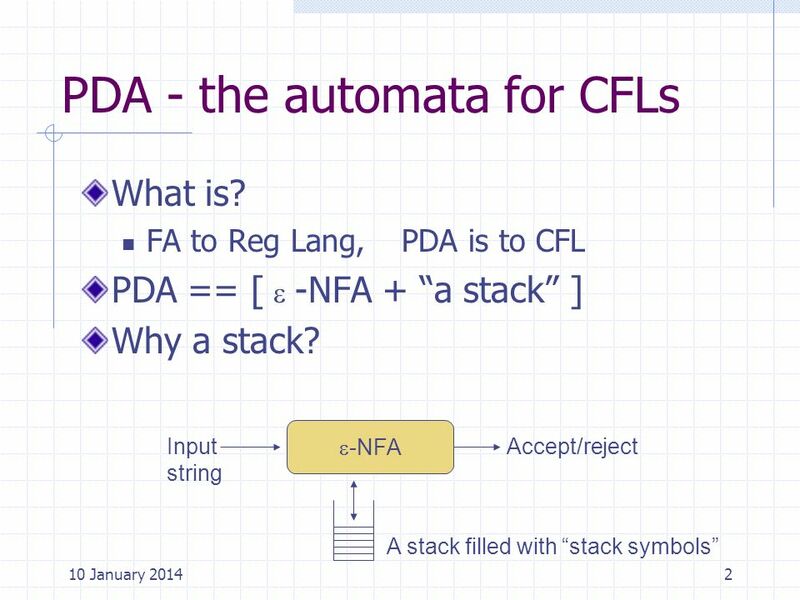 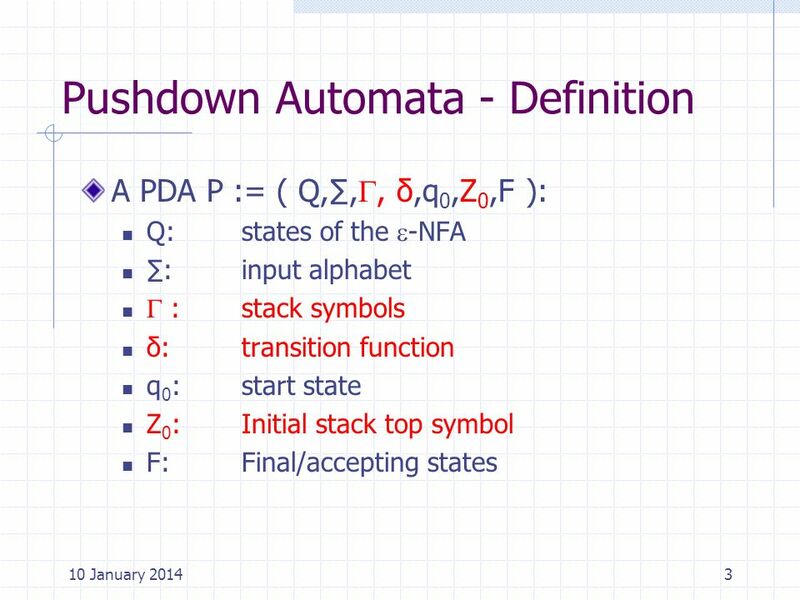 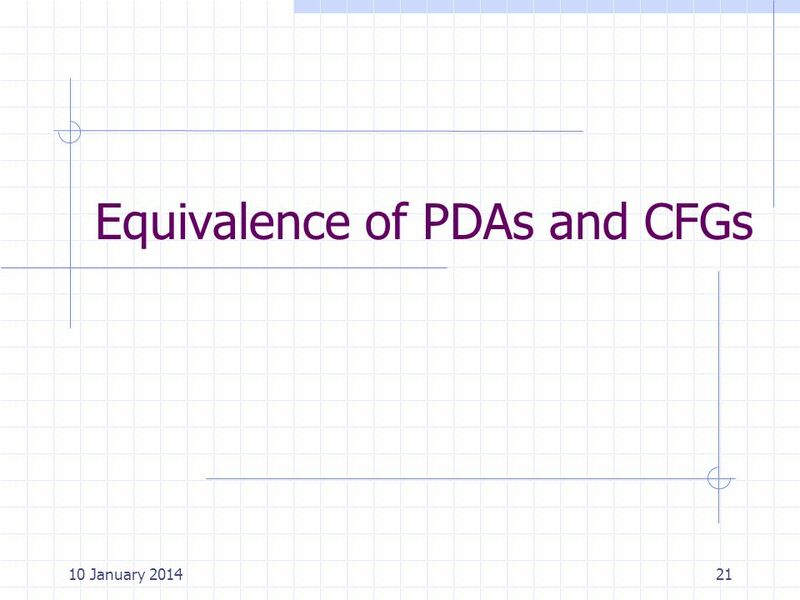 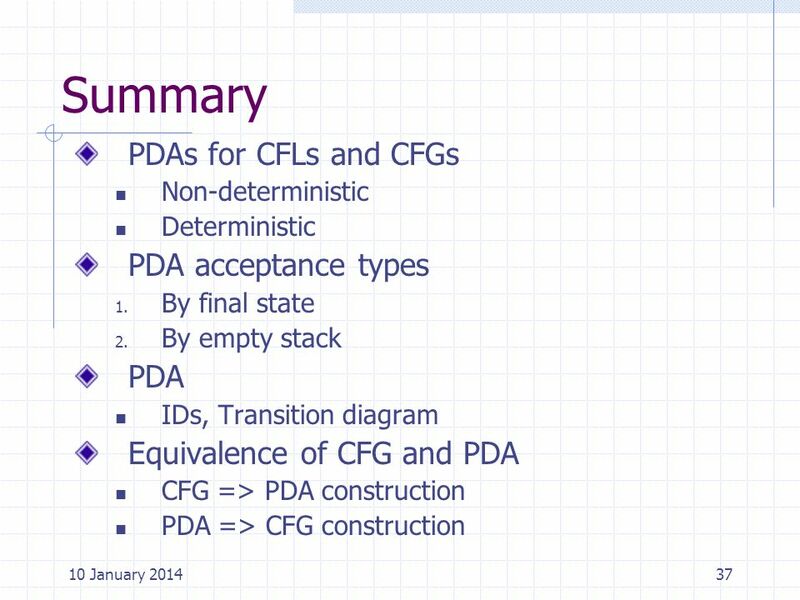 1 Pushdown Automata (PDA) Informally: –A PDA is an NFA-ε with a stack. 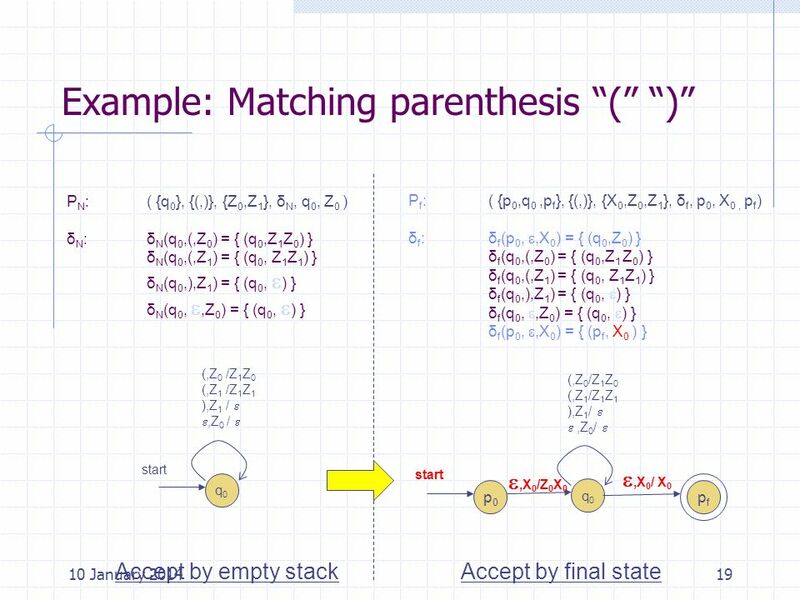 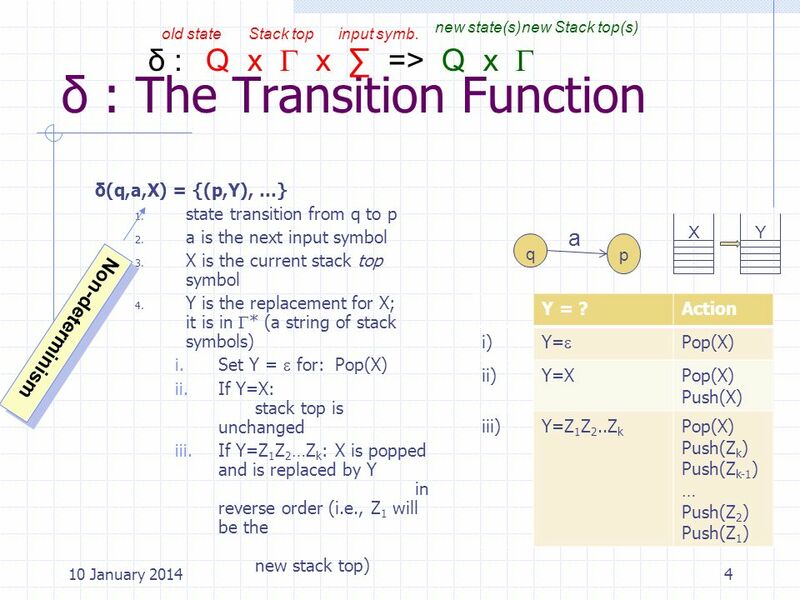 –Transitions are modified to accommodate stack operations. 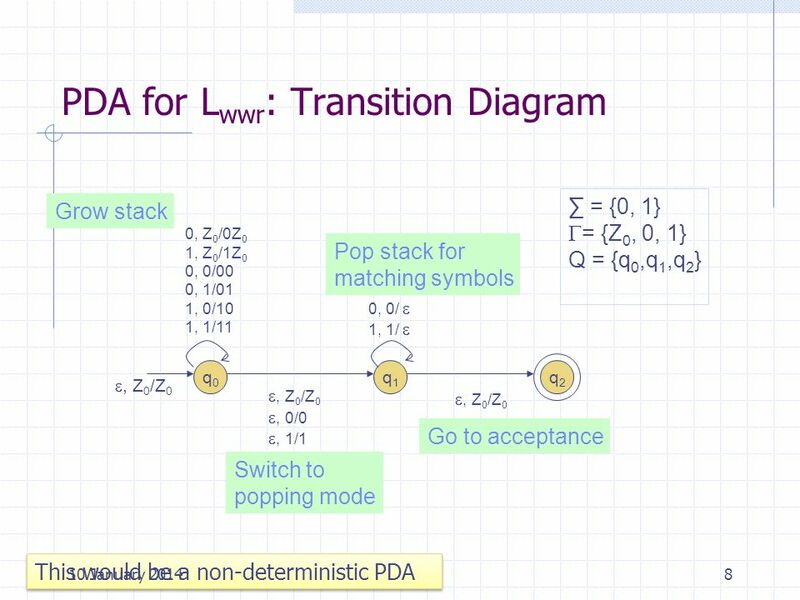 Questions: –What is a.
Pushdown Automata CPSC 388 Ellen Walker Hiram College. 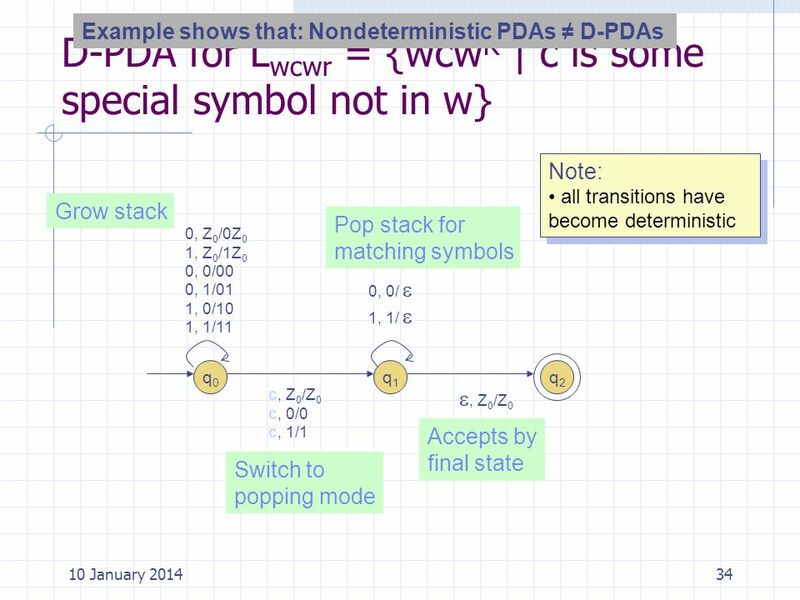 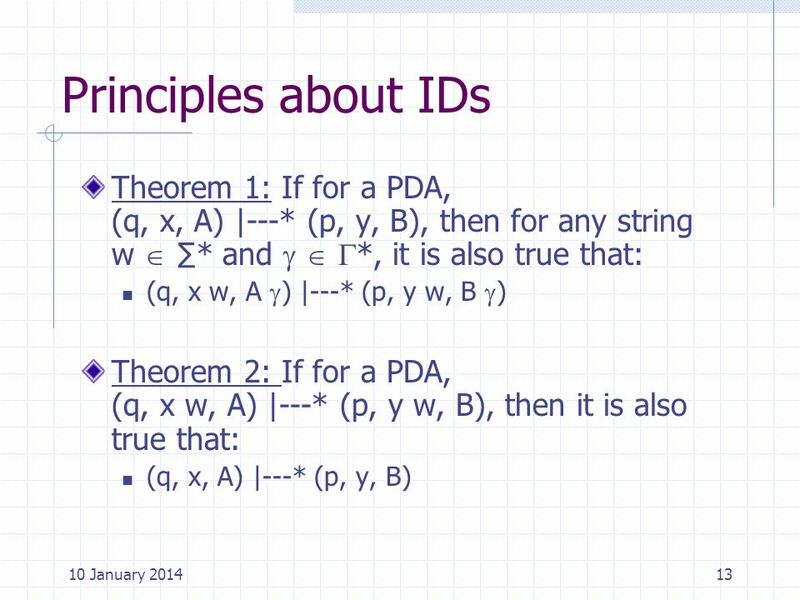 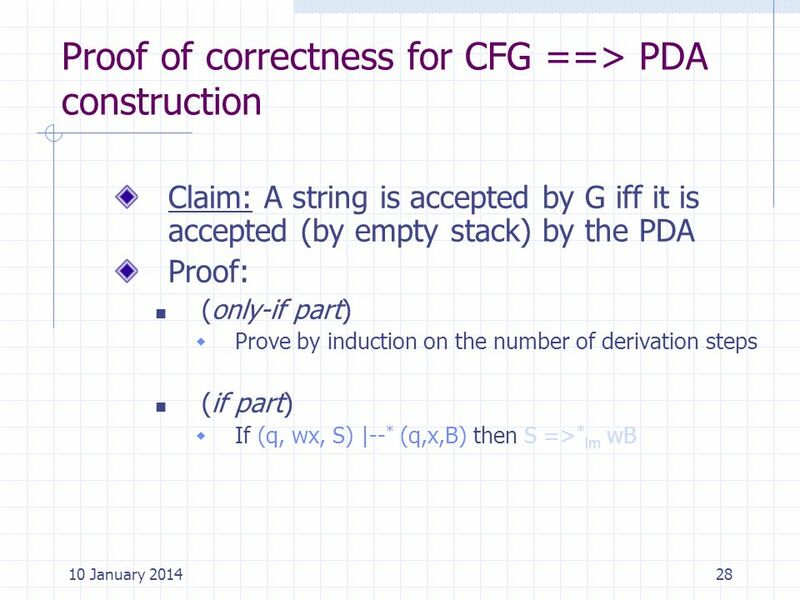 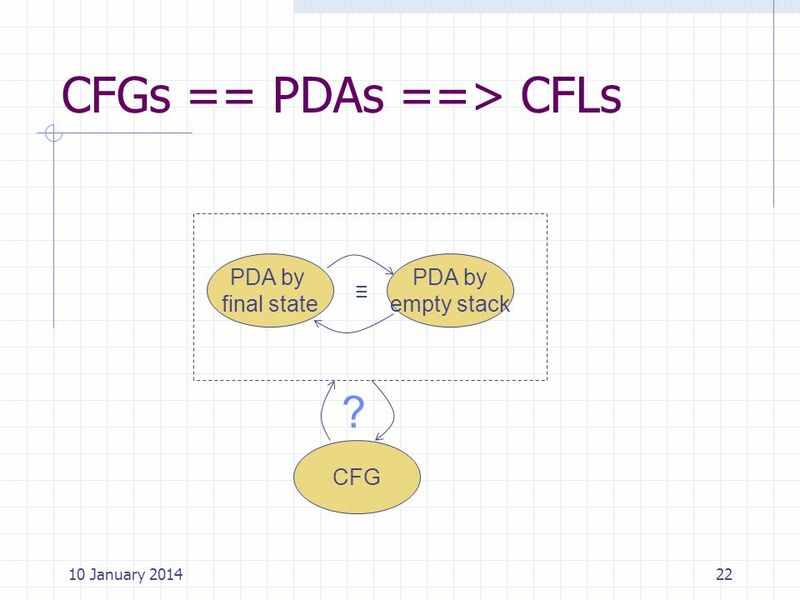 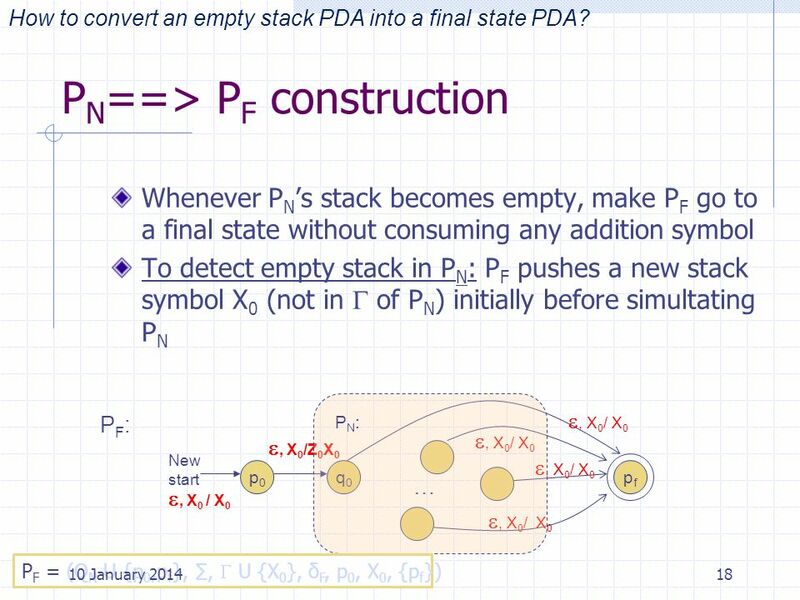 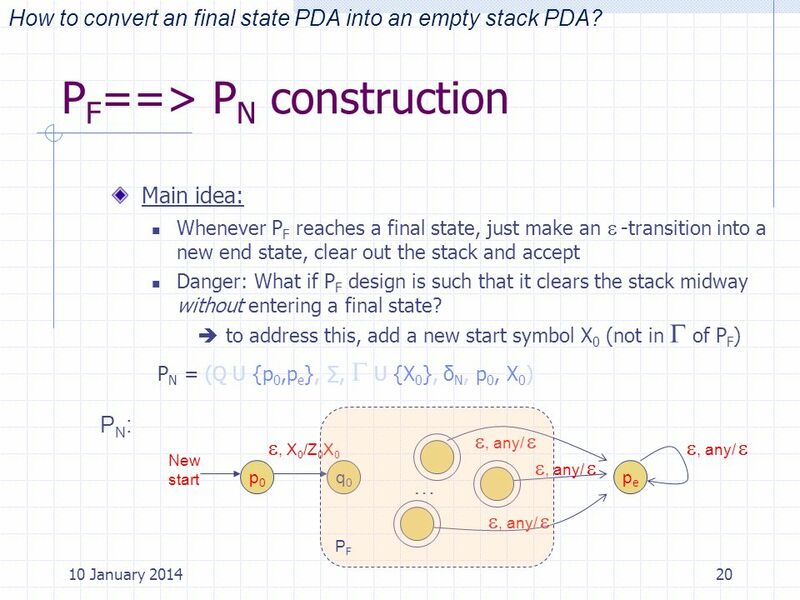 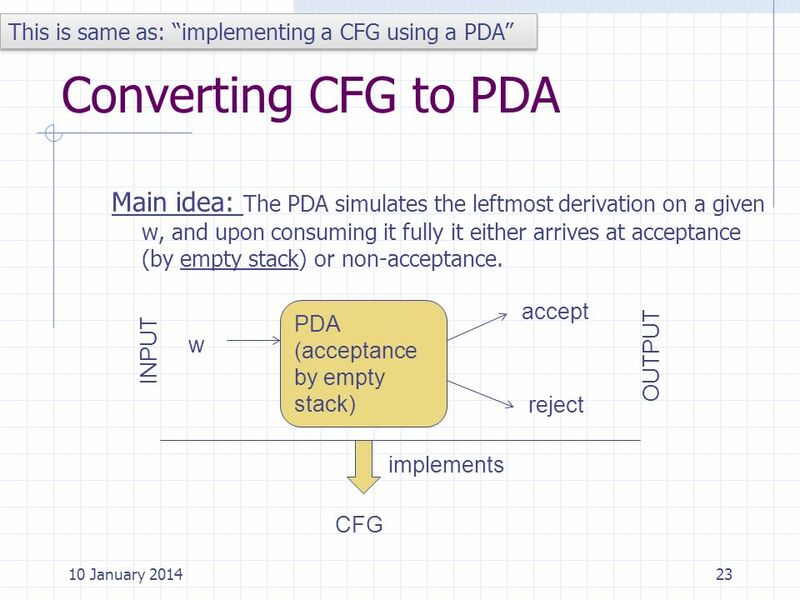 1 Introduction to Computability Theory Lecture7: PushDown Automata (Part 1) Prof. Amos Israeli. 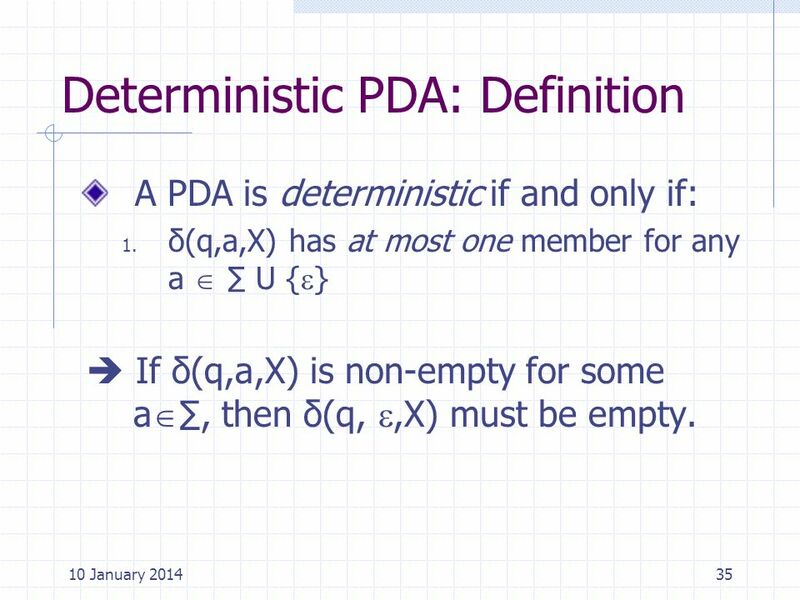 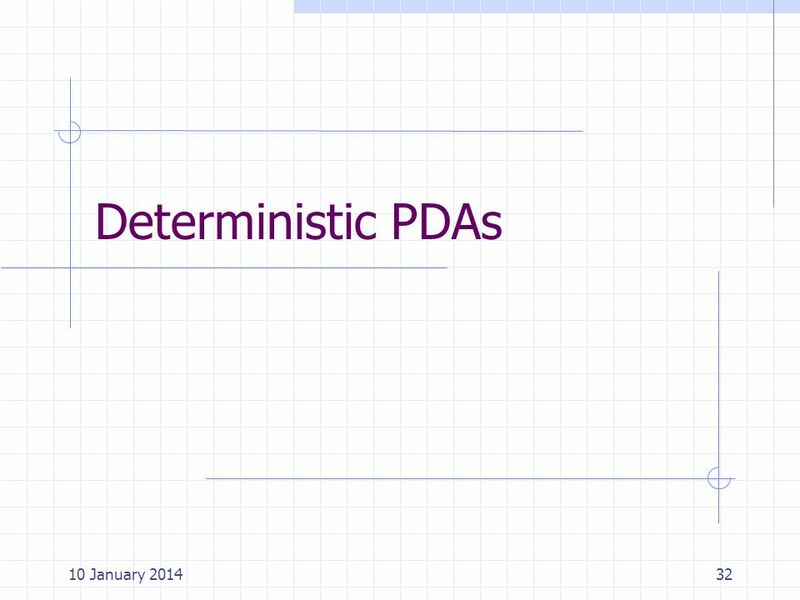 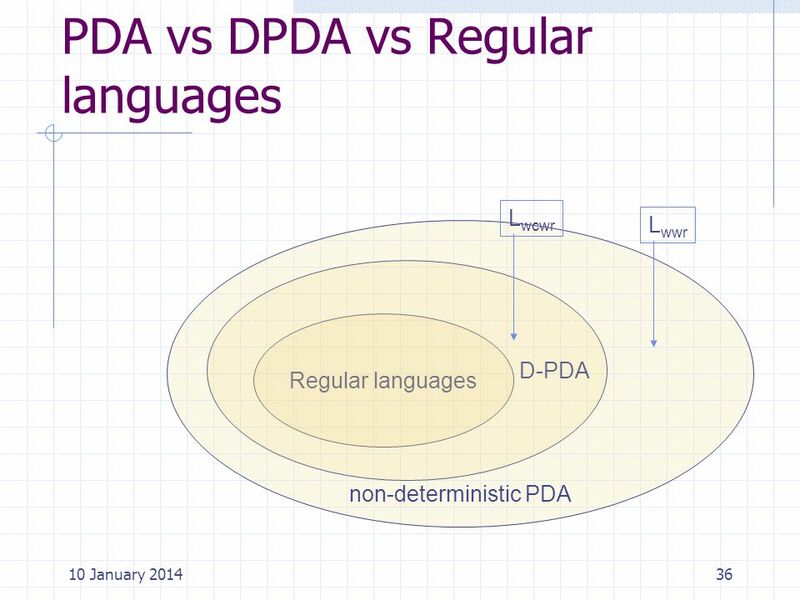 1 Pushdown Automata Definition Moves of the PDA Languages of the PDA Deterministic PDA’s.